Evergreen are the chosen contractors for supermarket and award winning producers. 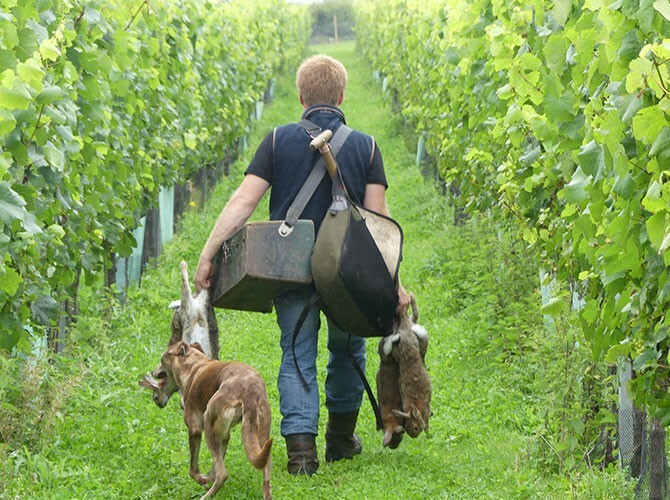 Evergreen Rabbit Control works closely with some of the biggest supermarket producers and award-winning vineyards in the industry. Our team are relied upon to help ensure maximum yields and quality production. Rabbits can have a massive negative impact on fruit and veg production. In many instances they destroy fruit trees by ring barking, in other instances, they chew vines which can make them unproductive to name a few reasons. In most circumstances, Rabbit Proof Fencing around the perimeter of production areas is the basis for effective wildlife management. Evergreen are trusted contractors to supply and erect high standard Rabbit Proof Fencing solutions the give long-lasting results. In combination to this, culling is required either as a one-off eradication project and remove internal populations or as ongoing Rabbit Control Programme. We have contracts with both wine and fruit production companies to maintain fencing and ensure no rabbits cause issues to productivity. Whilst working with the management and staff of each site we provide a cost-effective service that works alongside day to day operations.